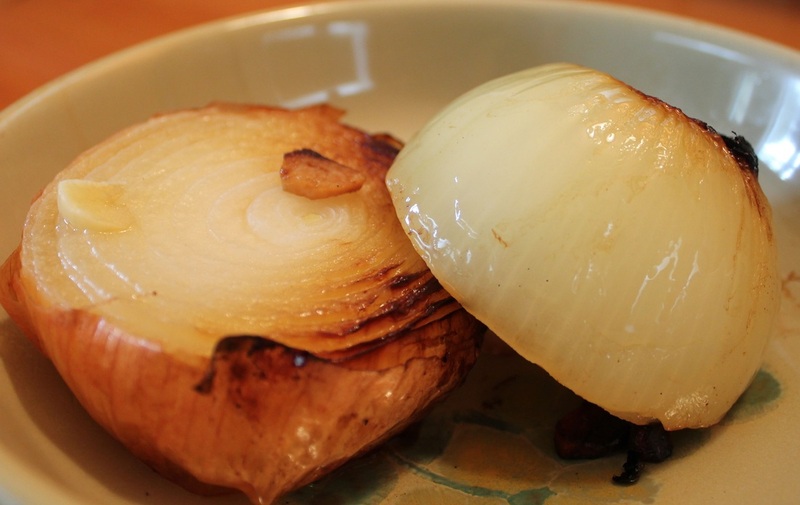 Grilled onions have a delicate sweetness to them. We barbecue these with a little garlic, which creates a burst of flavor. The garlic has a mild taste like when it's roasted. This delightful side dish could also be baked if you wish. Slice the ends off each onion, then slice each onion in half. Place 1/2 tablespoon of butter and 1 sliced clove garlic on one half of each onion. Top each slice with it's other half. Press down, wrap with foil. Barbecue for 30-40 minutes over medium hot coals.